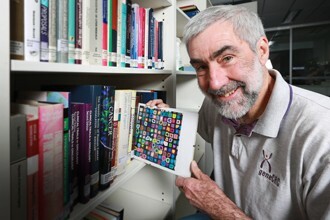 The $50,000 award for life sciences recognised Professor Speed’s more than 20-year career in bioinformatics, where he has used statistics to interpret biological data and help solve biomedical research questions. Together with members of the Voss-Thomas lab, we are analyzing and interpreting ChIP-seq data concerning the histone acetyltransferase HBO1 and histone 3 lysine 14 acetylation (H3K14ac) in two different types of cells. The challenge is to relate changes in binding of HBO1 and H3K14ac to changes in gene expression between the two cell types. We are about half of the way through the analysis. In collaboration with Dr Sherene Loi of the Peter McCallum Cancer Centre, we are investigating spatial genomic variation and temporal evolution in breast tumours. One methods paper is in press, and other more biological papers are in preparation. The project is continuing. Over the last few years, we have been developing statistical methods to remove unwanted variation from modern high-throughput “omic” data. Unwanted variation can arise from technical aspects such as studies to be combined, batches, different platforms or laboratories, or from biological signals such as heterogeneity in ages or different ethnic groups which are unrelated to the factors of interest in the study. It can affect gene expression, methylation and other kinds of microarrays, RNA-seq data, as well as proteomic and metabolomic data. Several external collaborators are also involved in this project.